Earlier in the day, former South Africa skipper Graeme Smith raised fingers at Virat Kohli's leadership credentials. Watching the flaws in the team selection that cost India a yet another Test series defeat in South Africa, former India opener Virender Sehwag believes that underfire India skipper Virat Kohli requires some players who can advise him on and off the field and point out his mistakes with confidence. "Virat Kohli has reached a level where he can play well in adverse conditions and he expects the same from the rest of India squad. However, the other players in the squad haven't reached the stature where Kohli already is. This is affecting Kohli's captaincy. There's no one in the squad who can challenge Kohli's selection decision in the dressing room. No player is up to his standard." he added. Earlier in the day, former South Africa skipper Graeme Smith raised fingers at Kohli's leadership credentials, expressing his doubt if the Delhi batsman is the right choice for the captaincy in the longer run. After losing the first Test by 72 runs in Cape Town, Kohli brought some hopes for the Indian fans after he scored a noteworthy knock of 153 runs. He slammed as many as 15 boundaries in his illustrious 217-ball knock. According to Sehwag, all Kohli want is to see other batsmen score fearlessly like him. "Kohli is just asking them to make runs like him. And there's nothing wrong with it. I remember, when Sachin Tendulkar was the captain, he used to ask other batsmen to score runs. If I can score, then why can't you?" The 39-year-old former batsman was once in the race of India's head coach but missed due to lack of setting. With critics raising fingers at the skipper, coach Ravi Shastri is also receiving flak from the best of the business. Shastri has also been responsible for not giving Kohli the right advice and guidance ahead of big matches. Sehwag strongly believes that Kohli must be getting advice from the coach but not implementing it on the field. Asking Shastri to bring the entire squad together irrespective of players' individual stature, Sehwag said, "It's important is to sit together and talk to make a strategy for the upcoming Test. No single player can lead you to victory, teamwork is important. Every player has to contribute." "Not just on the field, the contribution has to be in decision-making as well," he added. Sehwag emphasised Kohli need to motivate players instead of putting unnecessary pressure. "Virat Kohli needs to motivate players. He should let them play the way they play. Ask them not to take any stress, just play fearless cricket. There's an urgent need of changing the environment in the dressing room. Players will perform well if they are free of pressure." 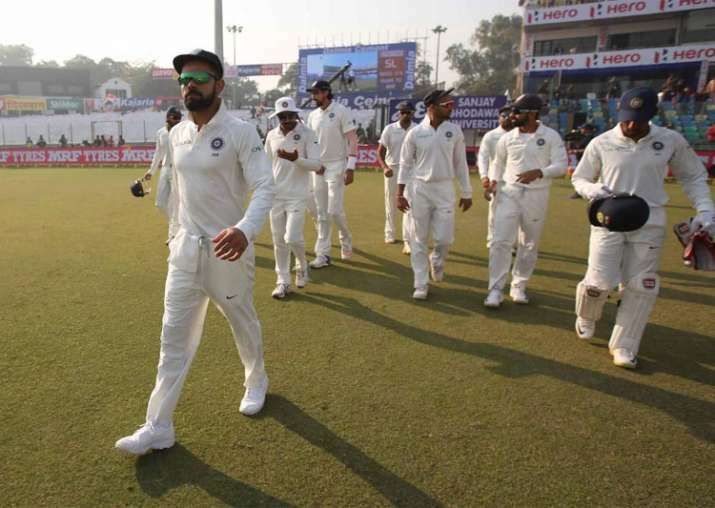 Looking to avoid a humiliating 3-0 whitewash, Kohli-led India would be desperate to make the right selection against South Africa in the third and final Test at Johannesburg, starting on Wednesday.